If you ask me, the new rates are even better than the unlimited offer they had going on since you do not have to worry about slow data connection as a result of exhausting your allocated bandwidth. or 3 for XCELL daily at 50 Kshs, XCELL weekly at 249 Kshs or XCELL monthly at 990 Kshs respectively. 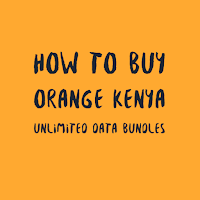 If you are in the house or can’t find a place to buy orange airtime, you can just buy Orange airtime from your Mpesa account. Now tether your phone to your laptop and browse away! Lovely day. Thanks for being cheaper on communacations. 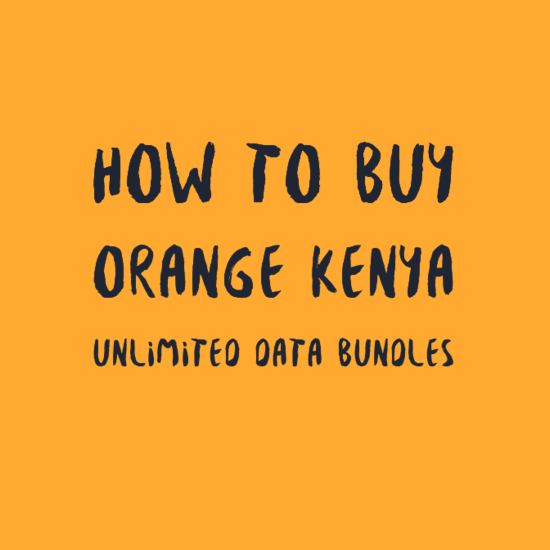 There's nothing as such as 'unlimited', Orange just scrapped the unlimited data bundle policy without prior notice to their customers! Now does the speed carry in the in the new policy when it's no longer unlimited? A communication company with no communication to customers! Bure kaabisaaah!! ! I agree Tusmo. The Xcell offers are even better than their unlimited bundles if you ask me. The speed is constant and I'm yet to exhaust my weekly allocation. you fail to mention the 400mb costs just 50 bob, xcell offers are the cheapest in the market by far. Am on XCELL Monthly 30GB for Ksh 2,990. It has expired but I don't know how to load the money and reactivate. Help! That is what we have been waiting for, this is God's gift. Is it possible to extend the validity of a monthly XCELL offer by buying another bundle plan? I've always trusted Orange when it comes to affordable data plans. The unlimited was superb but this XCell really excels!! Hi, can i talk to one of your customer care agents via the phone? how do you buy the 400 mb? Without unlimited bundles bure kabisaaaah mnafaa kusema daily unlimited ni i pesa weekly monthly ivo ndo kusaidia wananchi anytym u wish to connect pap uko xwa BT nyinyi?? ?